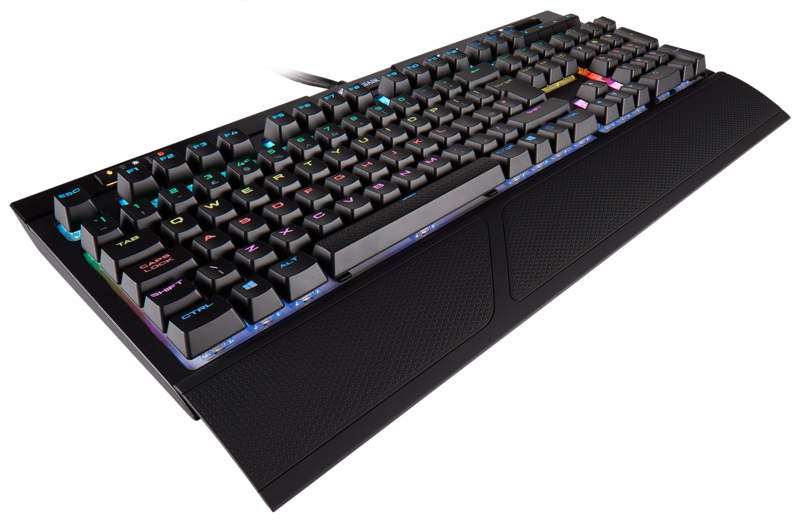 The CORSAIR STRAFE RGB MK.2 MX Silent mechanical keyboard features 100% CHERRY MX Silent RGB keyswitches for key presses that are upto 30% quieter, alongside and 8MB onboard profile storage to take your gaming profiles with you. The dedicated multimedia and volume controls allow you to adjust your audio without interrupting your game while the USB Pass-through port provides convenient access to plug in your devices. 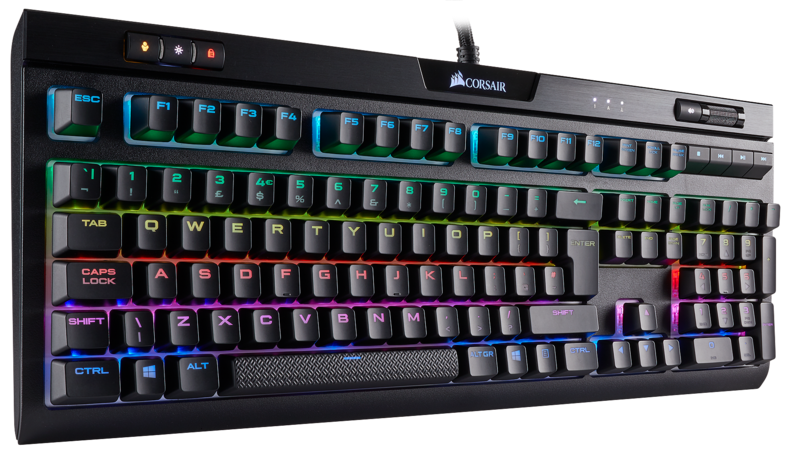 Powerful CORSAIR iCUE software enables sophisticated macro programming vivid dynamic multicolor illumination and full-system lighting synchronization across peripherals, coolers, fans and more. STRAFE RGB MK.2 MX Silent comes fully loaded with a detachable soft-touch palm rest to provide optimal comfort and textured FPS/MOBA keycap sets. 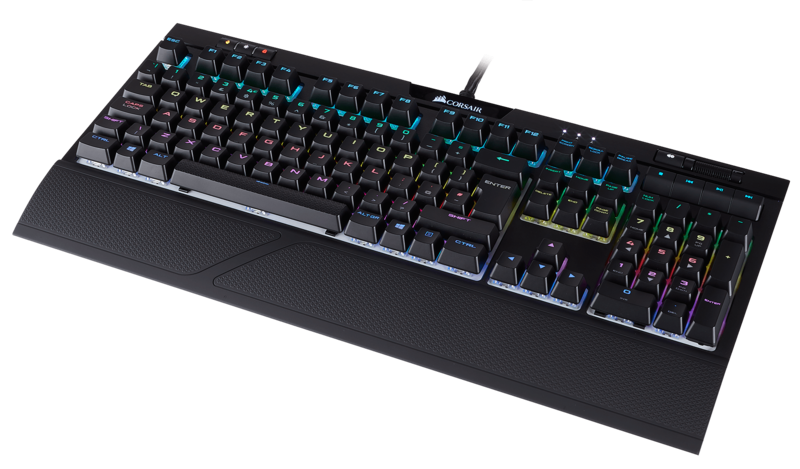 100% CHERRY MX Silent RGB Mechanical Switches: Experience the performance and competitive advantage of mechanical keys, with 30% less noise. 8MB Onboard Profile Storage: Saves lighting effects and macros for universal access to your profiles on any PC, without the need for drivers or additional software. Dynamic Multicolor Per Key Backlighting: Adjust each key’s color and illumination level for sophisticated and dramatic animations and effects. Detachable Soft-Touch Palm Rest: The comfort to enhance your gameplay during marathon gaming sessions. 100% Anti-Ghosting with Full-Key Rollover: No matter how fast your in-game actions are, every key press registers correctly. 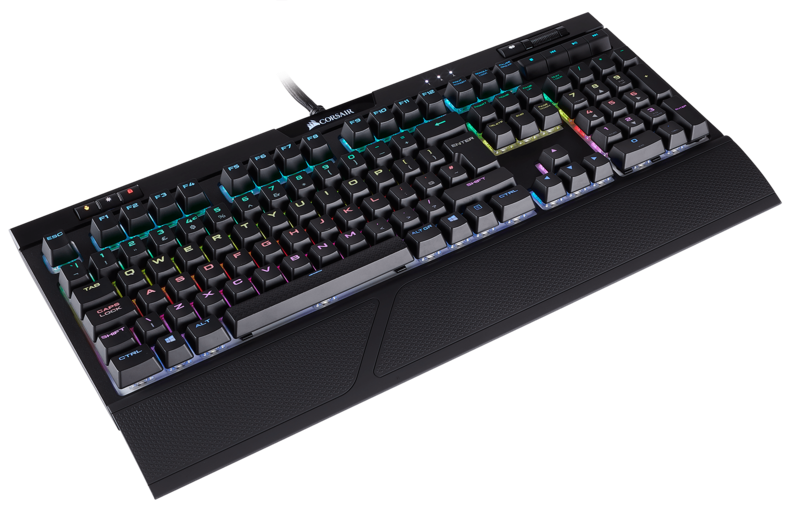 Programmable with CORSAIR iCUE Software: Vivid dynamic RGB lighting control, sophisticated macro programming and full-system lighting synchronization compatible CORSAIR peripherals, coolers, fans and more.